We've received lots of new ribbons, including several that are elasticized, and some very cute dotted ric rac that would be adorable on little girls' dresses. From Moda, we have "Giggles". In addition to several bolts from this line, we also have charm packs and jelly rolls. 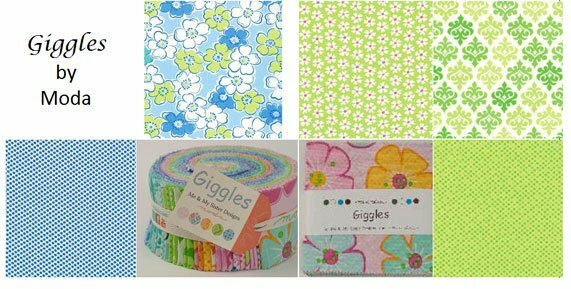 This is a bright, colorful collection that will make cute quilts and garments. 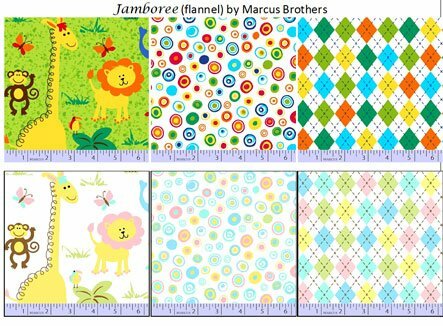 From Marcus, we have a fun flannel children's line, "Jamboree", featuring whimsical animals, dots, and argyle prints. 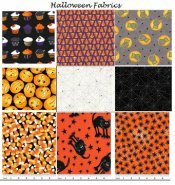 These would make wonderful rag quilts and pajamas. It would also be great for the 16-square quilt trimmed with jumbo ric rac. We've also received a lot of fun prints from Alexander Henry, and "Midwinter Reds", also from Moda. This is a collection of stripes in cream and barn red--great for home dec and Christmas projects. Come to the shop or call soon to reserve your spot in one of these great classes coming up. 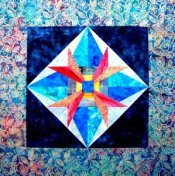 Crazy Quilt Group, Mon, Oct 7, 10:30 - 1:30 p.m.
Women of Courage BOM, Tue, Oct 8, -OR- Sat, Oct 12, 9:00 -10:00 a.m.
Imperial Blooms BOM, Tue, Oct 8, -OR- Sat, Oct 12, 10:00 a.m. - 1:00 p.m.
Provence & Beyond BOM, Thu, Oct 17, 6:00 - 7:00 p.m.
Blankets for Preemies, Fri, Oct 18, 11:00 a.m. - 3:00 p.m.
American Girl Doll Sit & Sew, Wed, Oct 23, 1:00 - 4:00 p.m. Sit & Sew, Thu, Oct 10, 1:00 - 5:00 p.m.
Only one space left if this class! 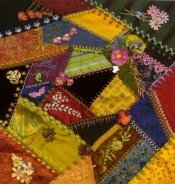 Floral Fusible Applique, Sue Rohrke, Fri, October 18 and October 25, 10:00 a.m. - 3:30 p.m., $55, supply list. 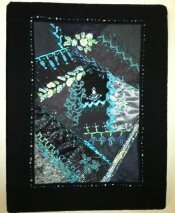 In this class, you will learn a really fun technique that will enable you to design your own art quilts from digital photos that you have taken yourself. It's liberating! This is a simple project for beginners and above. You can choose one of the three designs pictured here to make in class.